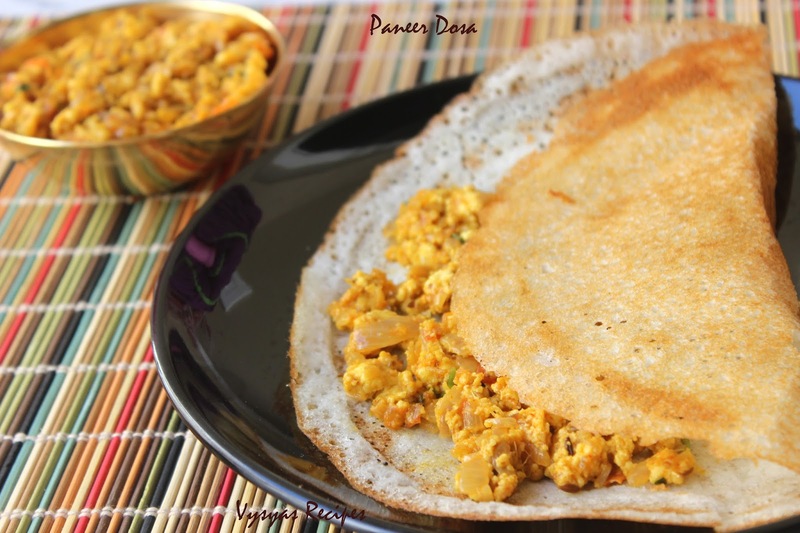 Paneer Dosa is a Popular Dosa Recipe in India.Paneer Filling inside Dosa tastes Delectable.Filling is made with Grated or Crumbled Paneer with some Spice Powders. 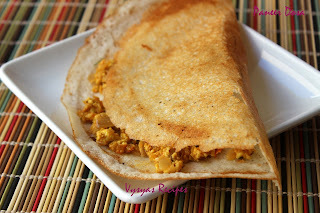 This Paneer filling is made in Jiffy.This is a Kids friendly Dosa. 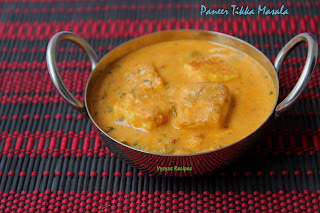 Some health benefits of Paneer includes, Paneer is a high protein food having high level of calcium and phosphorus which helps in building strong bones and teeth.As it is the high protein and healthy fat diet, it provides better nourishment to the growing age children.It can be given to the children having allergy to milk in order to fulfill the nutritional value in their diet. 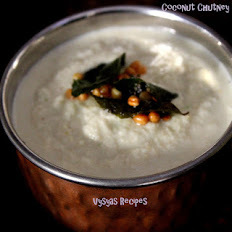 For pregnant ladies its good level of calcium and phosphorus helps both mother and baby to grow well and healthy. 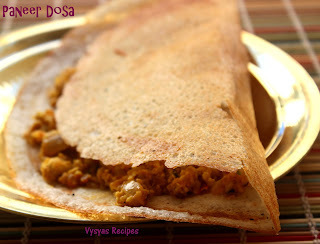 Cook Time : 20 minutes & 2 - 3 minutes per dosa. Chop onions & tomatoes finely. Grate Ginger & slit the Green chilly. Heat the oil in the Pan, add cumin seeds,when it sizzles add Grated Ginger & Green chilly. Saute till you get good aroma from Ginger. (it nearly takes 2 minutes). Then add Onions,Saute till it turns translucent. 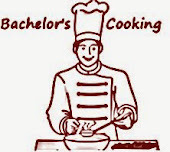 Then add tomatoes, add all spice powders such as Turmeric powder,Chilli Powder,Coriander powder Garam Masala & salt. Saute till tomatoes turns mushy. 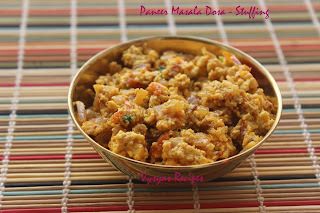 Then add Grated Paneer, fry till everything is combined.Dont fry for longer time else Paneer turns Rubbery. 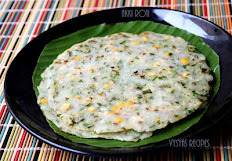 Finally Garnish with Fresh Cilantro.This Stuffing also goes well with Chapathi,roti,phulkas & paratha's. 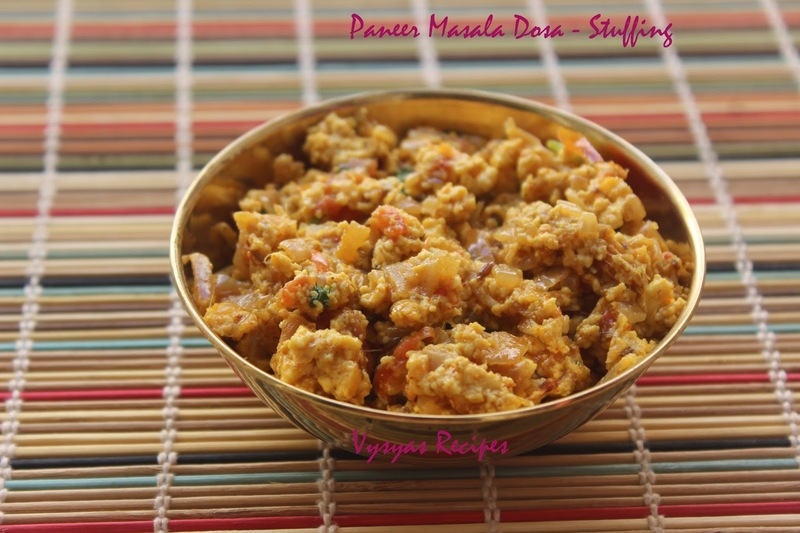 Heat the tawa, pour a ladle of batter, and spread it in a cirular motion, drizzle some oil, when it is cooked well & turns crisp, spoon with Paneer stuffing. 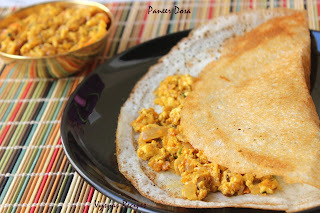 Fold the dosa.Remove it from tawa.serve hot & crisp . 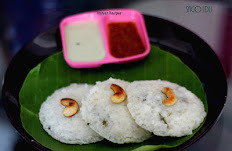 For Perfect Dosa, take idli/dosa batter, add little water & bring it to pourable dosa batter consistency. Spread the dosa, thin not necessary to flip dosa, once it is cooked & turns crisp spoon with stuffing & fold dosa. If it is a store bought paneer put in hot water for few minutes to soften them. Don't fry Paneer for longer time else it turns rubbery. 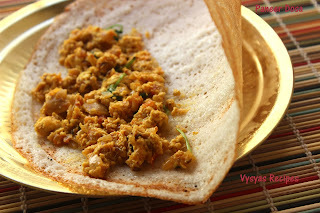 Adding tomatoes,gives nice tangy taste to dosa.